What Are The Differences Between Martial Arts Uniforms? Every martial art has its own techniques, philosophy, and grading system. 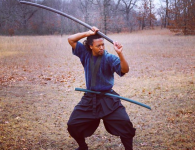 In order to address and accommodate these concerns, a specific uniform for each martial art has also developed over time. 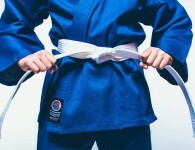 People who practice karate, judo, jiu-jitsu, and Tae Kwon Do have different needs and priorities when it comes to training and competition, so their respective uniforms also have their own unique characteristics. What makes karate uniforms, judo uniforms, jiu-jitsu uniforms and Tae Kwon Do uniforms different from each other? Is there anything that makes them similar, other than the fact that they all use some variation of a gi? Let’s break it down martial art by martial art. Like all gis, karate uniforms involve two pieces of clothing: a loose-fitting top with a deep v-neck and a pair of loose-fitting pants. 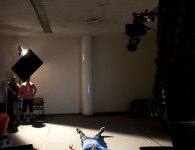 From there, a number of variations are possible. Karate gi tops can either be pull-overs (for convenience) or, more commonly, like a jacket that is wrapped around the torso and fastened with a karate belt. Pants can either have an elastic waist or a drawstring waist. Both the top and pants can come in a cotton/polyester blend, which is more affordable and great for beginners, or in 100% cotton, which is more absorbent, more durable, and a more popular choice for people who train more intensely. Karate uniforms come in three weights (light, medium, and heavy) and multiple colors, although white is the most popular choice. The perfect combination of the above depends on the karateka, their preferences, their training, and their goals. People who wish to compete, for example, will require a gi that meets the rules of the tournament. Like their karate counterparts, judo uniforms also include pants and a jacket that is wrapped round the torso and kept in place with a belt bearing the wearer’s rank. They’re also made of cotton and come in multiple colors. After that, the differences start to become apparent. Judo has much more of a focus on grips – grabbing an opponent’s gi in order to their movement, and to help execute throws and chokes – than karate, so its variation of the gi features reinforced stitching at key grip points like the shoulders, sleeves, and chest to withstand that extra wear and tear. Many pants will also have reinforced knees. The collar of a judo gi is also much thicker, which is both for durability and to help accommodate the martial art’s grip-based techniques. Judo uniforms can come in many weights, and the fabric of the gi can also come in different colors and weaves. Again, many of these variations are a matter of a judoka’s personal preference, although judo competitions will have specific rules concerning things like length and the size of the sleeves. 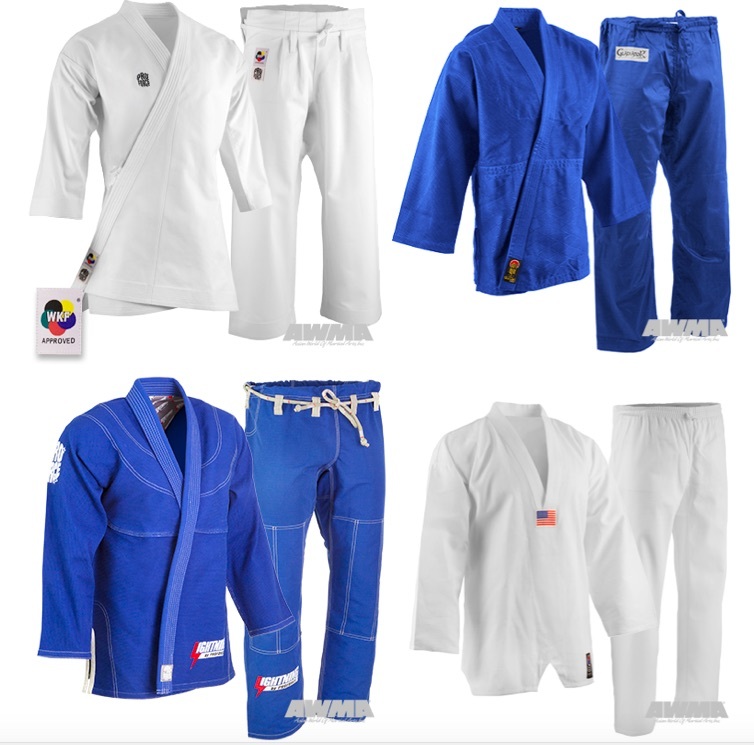 Judo uniforms and jiu-jitsu uniforms are somewhat similar. If you’re casually training in BJJ, for example, a gym might allow you to participate in your judo gi. The size of the judo gi might put you at a disadvantage in sparring, though, because it allows for more submission-based attacks using your own uniform against you. While the judo gi top is traditionally long and has wide sleeves, the jiu-jitsu gi’s jacket is generally fits tighter to the body, with a shorter skirt, and shorter, narrower sleeves. Jiu-jitsu gis come in different colors , weights, and weaves. Some can even be decorated with patches and embroidery. While these possibilities allow jiu-jitsu fighters to personalize their gis, some gyms will have rules about what colors and patches are allowed in class. BJJ and jiu-jitsu tournaments also come with their own regulations about sleeve and pant measurements to ensure fairness. 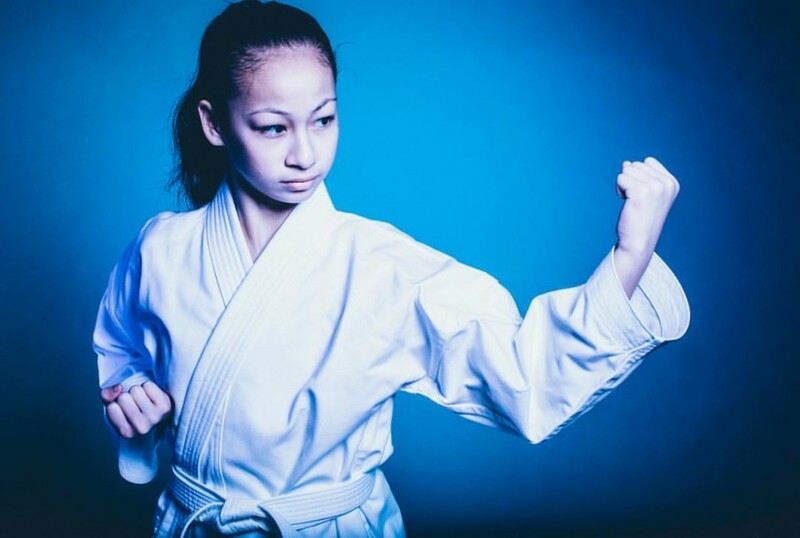 Just as Tae Kwon Do evolved from karate’s influence, Tae Kwon Do uniforms have evolved from the karate gi over time. Today, the top TKD gi, also known as a dobok, has moved away from the wrap around jacket favored by many other martial arts to embrace a more shirt-like v-neck jacket. This type of top – which can also be used in some karate training but is far more prominent in Tae Kwon Do – is a response to the techniques that TKD favors. 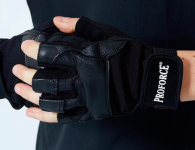 It allows martial artists to execute their strikes without concern that their jacket could come open at any time. V-neck tae kwon do uniforms come in different styles, weights, and colors. 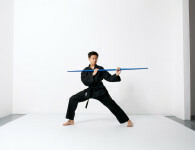 Like the martial arts uniforms discussed above, the right choices on these matters will depend on the martial artist. There is one rule that is unique to Tae Kwon Do, though: black v-neck collars are specifically for black belts and should only be worn by people who achieved that rank in the discipline.